Length Range: 9 -20 ft.
Of all the different kinds of fishing boats on the water, jon boats are one of the most common. And it’s no wonder why. Available in simple small versions which have no accessories beyond a hull and bench seats, they can serve as incredibly inexpensive yet essentially bulletproof freshwater fishing boats. 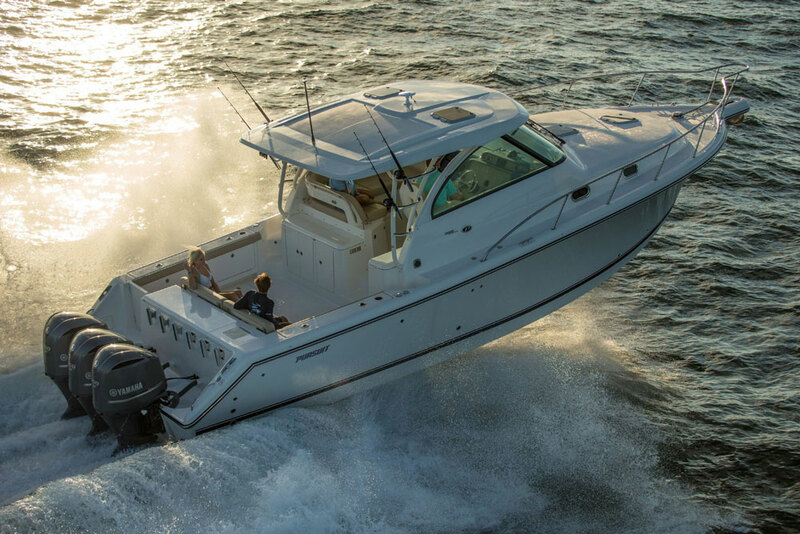 Larger models can be outfitted with features like livewells, casting decks, and swivel seats, and can serve as basic saltwater fishing boats. Jon boats even make great platforms for alternate boating adventures, like crabbing with a trot line, waterfowl hunting, or even gator wrangling. No matter which specific purpose you need a jon boat for, all the different makes and models do share some basic parameters. - They are more or less flat-bottom boats. - Bows are fairly squared-off or partially pointed, as opposed to coming to a full V-shape, to maximize interior volume and stability. - They are almost always built of aluminum. - Most are fairly small, and will fit into the under-18-foot category. - Simplicity also a common jon boat trait, and although no one can draw a firm distinction as to when it becomes more accurate to call a boat a jon as opposed to naming it a skiff or a bass boat, models with lot of complex accessories certainly enter a gray area of sorts. As one might expect, one thing that all of these traits add up to is affordability. And while there’s no hard and fast limit on the cost of a jon boat, most people certainly expect them to be inexpensive as compared to other types of boats. Although there are a few fiberglass skiffs out there which could more or less be called jon boats, the vast majority of this genre are constructed from aluminum. And when it comes to this type of boat many people would argue that aluminum is unquestionably the better choice. In many cases, jon boats are outfitted with bench seats which do double-duty as structural members. The same is true for small raised foredecks. Along with these, the boat depends on ribs for added structural support. The spacing of these ribs is important, and while you can’t nail down an exact distance between them as “proper” (because it changes with the boat’s size, the thickness of the supports, the presence of bench seats and other structural members, and other variables) as a general rule of thumb, the closer together the ribs are the stronger the boat will be. Larger jon boats may have stringers (structural supports running fore and aft instead of side to side) in addition to ribs, while smaller jons commonly have ridges or channels (also running fore and aft) in the bottom which add strength and rigidity. In most jon boats the ribs are exposed, and may create uncomfortable tripping-points. 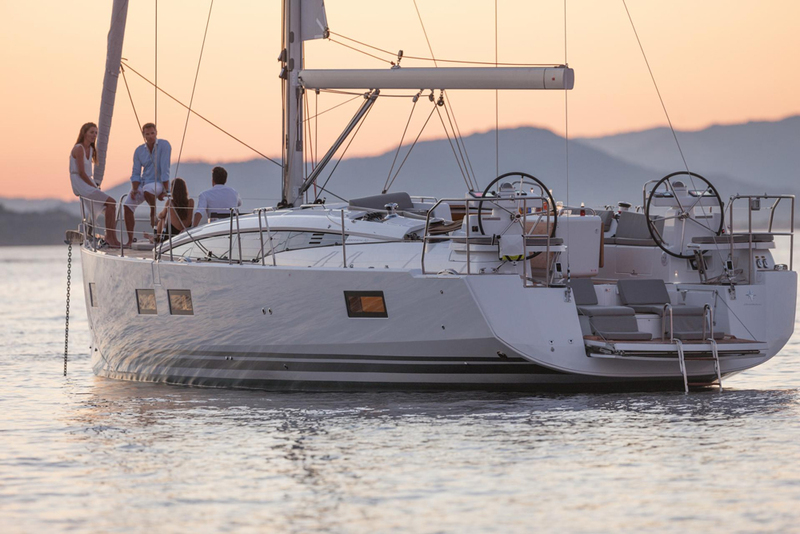 Many people add a sheet of plywood to cover them over and serve as decking, and on larger, more expensive jon boats the manufacturer may offer either aluminum or ply decking. While this does increase both weight and cost, many people consider decking a major benefit in a jon boat. Another indication of the boat’s strength is the thickness of the aluminum used in the hull and hullsides. This can vary quite a bit depending on the boat’s size. In the case of a 10-foot car-topper meant for use rowing in ponds and small coves, the hull may be as thin as 0.05-inches. You could probably punch through that with the swift poke of an icepick. Look at a ruggedly-built 18-footer designed to carry a 90 or 100 HP outboard, however, and the hull thickness will likely be twice as thick. Common sense tells us that thicker is better when it comes to toughness and construction quality, and it is, although you do need to remember that the thicker the aluminum is, the more the boat will weigh. And light weight is one of a jon boat’s biggest assets. A final construction consideration is whether you should get a jon boat that’s riveted, or welded. It used to be that riveted boats often leaked after several years of hard use. However, modern construction methods have mostly solved this problem. Today, we wouldn’t hesitate to buy either a riveted or a welded boat. We’d also note that quite often these days, the warranties on these types of boats are extremely competitive. The bottom line? Disregard those old notions, because in many ways it’s a toss-up. Some might add features like remote steering and a center or side console to this list, while others would say that once you start adding steering systems and consoles, the boat evolves into more than just a jon boat. The point is debatable, but it’s also moot – what really counts to you is simply that the boat fulfills your needs. 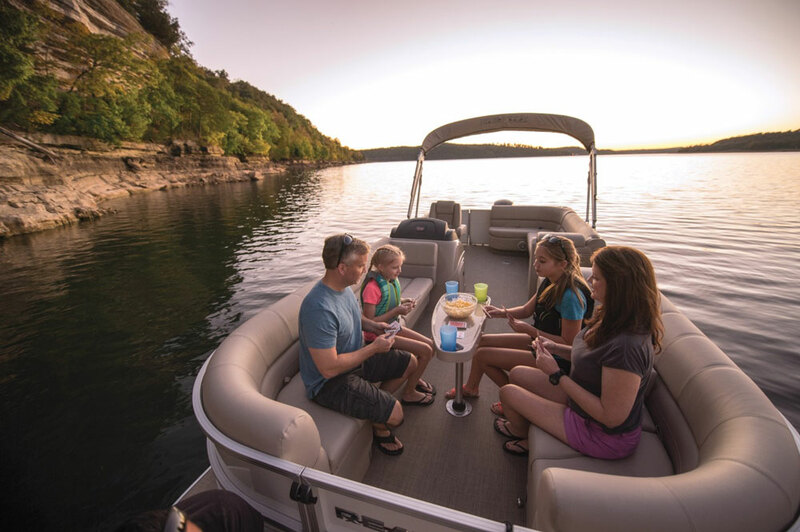 And to that point, you may even want to consider adding items like a folding Bimini top, a stereo system, foam decking pads, or any number of comfort-boosters that generally aren’t seen on jon boats. When it comes to powerplants, you’ll see a huge mix on jon boats. In fact, sometimes you won’t see any at all – many pond-hoppers are simply powered with oars. Jon boats used in larger ponds or small lakes commonly have a transom-mounted electric motor, which only costs a few hundred dollars but can power the boat at jogging speed for a few hours of running time. When it comes to gasoline powerplants, again, we see the whole gamut. On very small models, an outboard as small as five or six horsepower is all it takes to get a lightly-loaded boat on plane and cruising. Check out our video review of the Honda BF4, BF5, and BF6 outboards, which we tested on a 14’ Alumacraft jon boat, to see a basic package like this in action. At the opposite end of the spectrum you’ll find boats like the Crestliner Retriever 1860, which we ran with a center console and a 90 HP Mercury Four-Stroke, to speeds over 40 MPH. 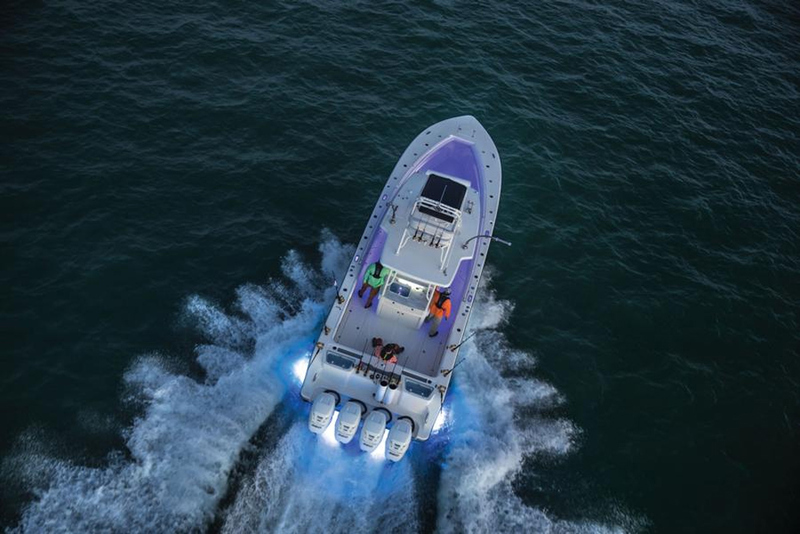 Whatever size powerplant you choose, there is one common thread: because of their light weight and easy-to-plane hulls, jon boats usually require smaller outboards than most other types of boats of the exact same size, especially those built of fiberglass. That lowers both initial costs, and running expenses. Those in search of a boat with comfy loungers and bucket seats are going to be happier with a pontoon boat than they will with a jon boat. People who want to have the fastest, flashiest boat on the lake should probably spend their time looking at performance boats. And if luxury is what you’re after you’ll be a lot happier with a cruiser. But if you’re searching for a boat that’s simple in nature, affordable, adaptable, and utilitarian, a jon boat fits the bill.